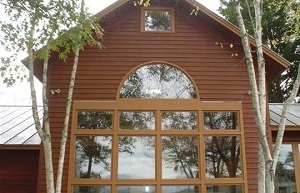 When it comes to expert level log home restoration services in the Asheville area, the only name that you need to know is Taskmasters Wood Maintenance. We take great pride in the work that we do and the results that we are able to deliver for each of our clients. Having the opportunity to reside in a log cabin is like living the American dream. A log cabin home allows you the historic workmanship and rustic charm few modern homes offer. Yet, you can still incorporate all the modern amenities that you would like. Our job is to help you revitalize and restore the place you call home, even if only part time. In fact, even if you own this property as a rental investment opportunity, you want to be able to take the best care of it as possible. Your home is your biggest and most valuable asset. Make it a point to keep it protected and improve the overall condition and appearance. We look forward to working with you and providing you with the level of quality service that you want, need and deserve. Restoration is still more cost-effective than buying a whole new house. We promise to work with you to make the process as affordable as possible and stay within your budget guidelines. There is nothing quite as satisfying and rewarding as salvaging a piece of history that already exists. Why build new when you can help to retain a tried and true classic. This will help to increase the property value of your home, significantly. Log homes are already worth more than traditional ones. However, a well maintained and restored log cabin will significantly increase the overall value. This will help you restore a piece of property that can remain in your family, for generations to come. Make it easier for this family heirloom to be passed down from generation to generation, by making sure that it is in pristine condition now. Above all else, make the smart call and let our North Carolina log home restoration experts take care of your service needs. You will be glad to know that we also offer wood restoration and pressure washing services. In fact, we even offer soft wash roof cleaning for better results and no chance of damage to your roofing. Get in touch with us right now and so we can begin working on your project. If you're looking for a professional for log home restoration in Asheville, NC then give us a call 252-266-9457 or complete our online request form.